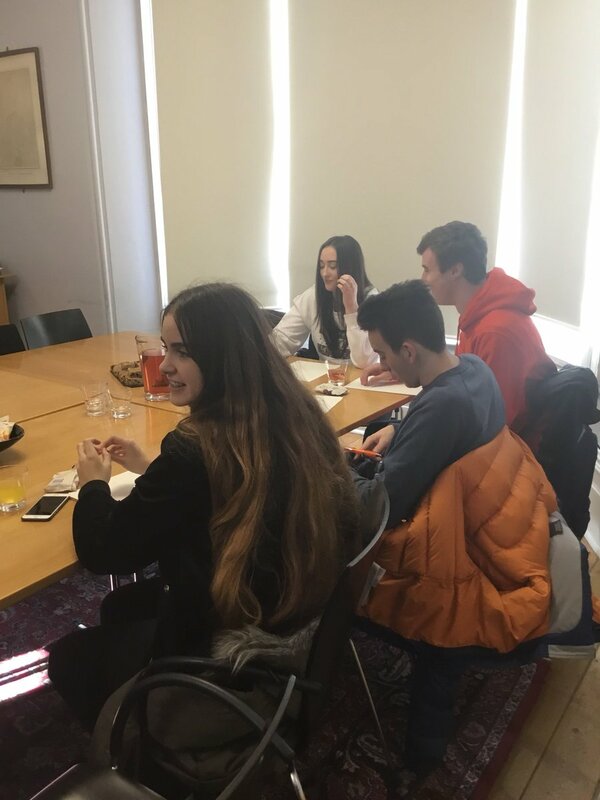 On the 17th January 2019, 4 Elite students from Rainhill 6th form made the trip down to Cambridge. Visiting Magdalene College, they went traveled for over five hours to find out more about this potential future destination. Students were greeted by Sandy Mill, Outreach Officer for Merseyside and Sefton for Magdalene College, at the Porter’s Lodge. Instantly enthralled by the magnificent buildings, steeped in history and grandeur, the students were walked over to the more modern Cripps Building which formed their base for the day. One the way, students spied the formal dining area and were introduced to the story of the secret passage! Starting the sessions with much needed coffee and flapjack after the 6am start, Sandy then formally introduced himself, alongside a current student who would be supporting. Sandy spent the first session exploding the myths surrounding Cambridge and talking about the application process. Students asked questions and diligently took notes which will help them in May when they come to apply. After the introductory session, the four future applicants were toured around Magdalene, learning the facts and quirky stories surrounding the college. 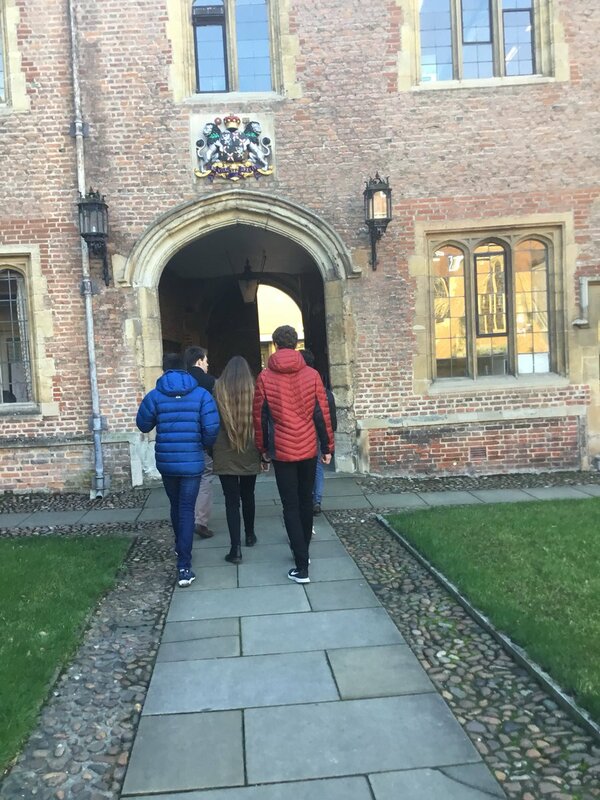 Sandy took them to see the accommodation blocks, the chapel, the Pepys Library and the study room, talking about all aspects of life as a student at Cambridge. Students then made their way back to the Cripps Building where they were treated to a lovely hot meal from the bistro. Salmon, Vegetable Wellington and Hunters chicken were all on offer with dauphinoise potatoes and veg. Yum! Following the lovely lunch, students had a session on elite applications and how to use Year 12 to ensure their applications could shine. Sandy reiterated the importance of the supercurriculum and directed students towards useful resources. After a quick break, it was time to head out again! Sandy toured the students through the city centre, where they saw the sites of Cambridge itself and students marvelled at the other colleges, such as Kings and Trinity as well as the large Whale skeleton in the Zoology museum. Sandy kept a great running commentary, with interesting stories, facts and thoughtful questions. Keeping their eyes peeled for college scarfs and colours, as well as bikes, the students braved the cold weather to cross Cambridge to Downing College. Meeting Jessica, the Outreach Officer at Downing, students finished the day with a twilight tour of this contrasting college. Jessica toured the students around the impressive courtyard, taking them through the history of the college and contemporary information about societies and clubs. 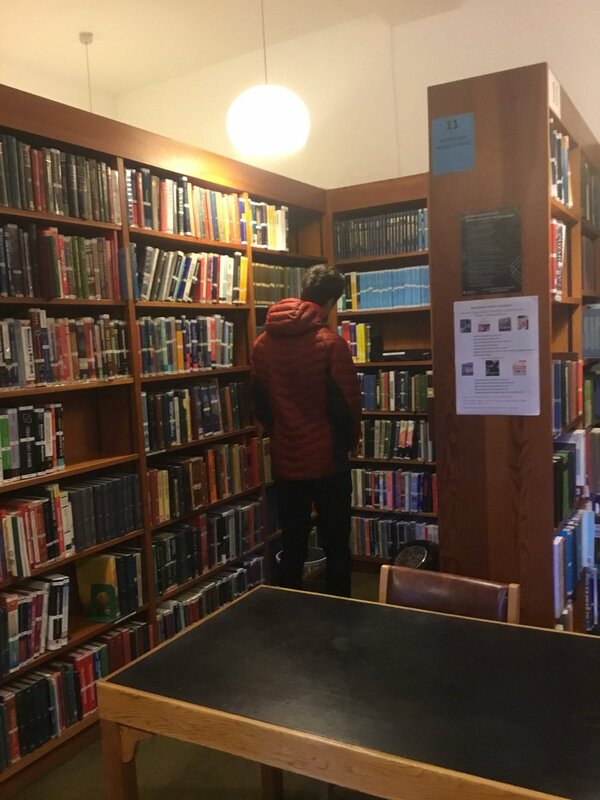 She then took them into the library where students were given free reign to explore the thousands of books. As the sunset over Cambridge, students waved goodbye to Sandy. Boarding the bus, the students were tired but inspired by the experience, and whilst making the journey back to St Helens, chattered excitedly about their new shared experience. This will not be their only trip down to Cambridge, with a residential to apply for at Easter and then in 9 months’ time, the real application process will begin which will hopefully see them travel back for interviews! And, who knows, in September 2020, they could be travelling from Rainhill to Cambridge to start their new lives. Whatever happens through, for sure, the experience this experience will stay with them for a lifetime.